The smart story is one of entrepreneurial vision and daring. It is a story of innovation and proof that to be successful, even the best ideas must be appropriate for their time. At Mercedes-Benz, the roots of an automotive concept designed specifically for urban use reach back to the 1970s. The growing problems of inner-city individual transportation, a parking situation which was becoming ever more critical even then, and increasing environmental awareness spurred by the crises of the early 1970s and 1980s, helped position the smart to breakthrough in the early 1990s.Since 1998, a total of 770,000 customers have purchased the first-generation smart fortwo. And, for many, it has become a part of their individual world views. In 2008, the smart comes to North America where it will be distributed by savvy auto magnate Roger Penske. Over 20,000 U.S. customers have placed advance, online reservations for the diminutive car. Buy Smart by Willi Diez from Australia's Online Independent Bookstore, Boomerang Books. Authors Willi Diez and Ju00fcrgen Zu00f6llter examine the evolving history of the smart from various perspectives, and relate its story as a contemporary chronicle. The result is a multidimensional image of the marque and the automobile, an exciting outline of what it means to establish a new automobile brand in our time, and a book which, for the first time, reveals a wealth of previously unreleased material from the history of the smart company. Authors Willi Diez and Ju00fcrgen Zu00f6llter examine the evolving history of the smart from various perspectives, and relate its story as a contemporary chronicle. 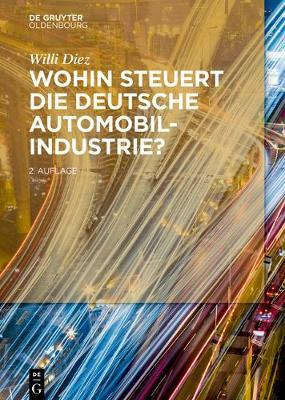 The result is a multidimensional image of the marque and the automobile, an exciting outline of what it means to establish a new automobile brand in our time, and a book which, for the first time, reveals a wealth of previously unreleased material from the history of the smart company.